This is a add-on for Arduino that has combined LTE technologies Cat.M1, Cat.NB1 (NB-IoT) and eGPRS for Raspberry Pi, based on Quectel’s BG96 module. The shield has the power of new IoT phenomenon LPWA (Low Power Wide Area) with Cat.M1 and NB-IoT connection functionalities. Besides, it also provides the function of eGPRS that be enhanced version of classical GPRS. If you need built-in sensors, relay and more feature, please take a look at Arduino Cellular IoT Application Shield. 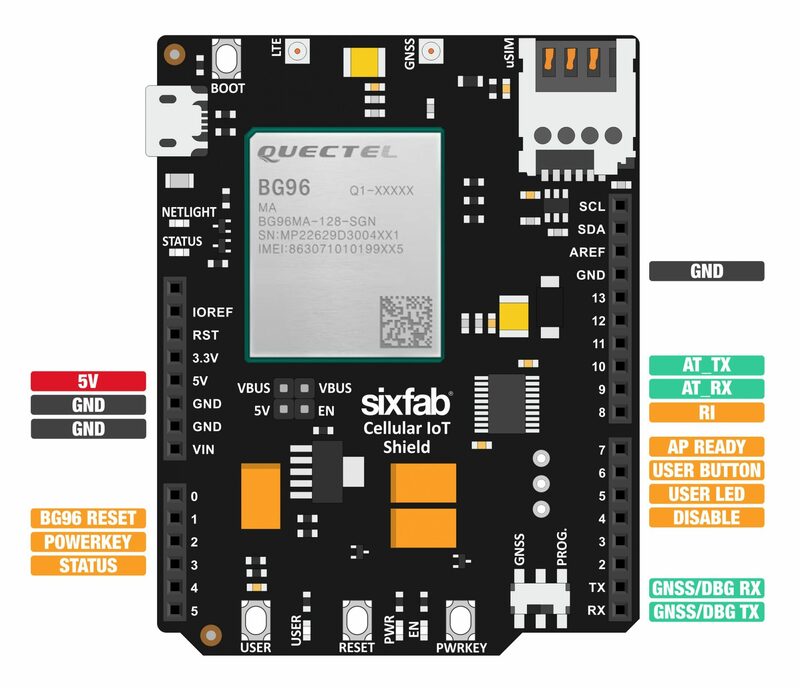 With the Sixfab Arduino Cellular IoT Shield, you are able to send or receive data over LTE-M and NB-IoT cellular networks without needing gateways. LTE-M (Cat M1) and NB-IoT (Narrowband IoT or Cat NB1) are both for who is looking to take advantage of Low Power Wide Area Network (LPWAN) technology. In the meantime, the 2G networks have been started to shut down in some countries. 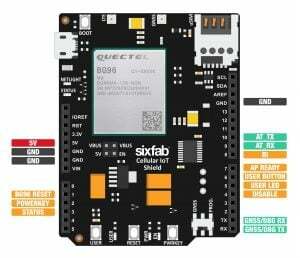 The Quectel BG96, lies on the middle of the Arduino Cellular IoT Shield, is a series of LTE Cat M1/Cat NB1/EGPRS module offering a maximum data rate of 375Kbps downlink and uplink with worldwide coverage. This LTE add-on for Raspberry Pi also supports GNSS and GPS for the need of building location, navigation, tracking, mapping and timing applications. At this LTE Shield for Arduino, we’ve provided an easy-to-use Arduino library for AT commands over UART connection with a bunch of tutorials enable makers, engineers, integrators and developers to easily design their applications. Compatible with favorite Arduino models like UNO, Leonardo and more which have R3 Pinout. 3D Files**will be available soon. You can shut down the power regulator available on it in order to save power.